The pressure is on NHS organisations and Trusts to further invest and take strides towards digitalising the NHS. With a society that increasingly relies on technology to conduct or support many daily tasks, the NHS is regarded as lagging behind. But, the NHS has learnt from past mistakes that it needs to take a more considered approach to ensuring that digitalisation of processes and procedures delivers the desired outcomes. In 2016, the Treasury allocated £4.2 billion to support digitalisation in the NHS and creating paperless working practices plays a big part in the move. Yet, there is more to it than just throwing away the paper and bringing in computers. Processes, systems and staff all need to work together to ensure success. The enormity of the task is not always at the forefront of those judging the NHS. Trusts and indeed, departments within a Trust, utilise an array of systems – both paper and computer-based. IT departments must take a step back to consider what they are trying to achieve and analyse the best steps to gain the right results. Whatever the current popular opinion of the NHS, its role is crucial – providing vital care to the UK’s 65+ million residents. Any implementation of new technology must enhance service to patients, as well as provide efficiencies to operations. The National Programme for Information Technology (NPfIT) was launched in 2002 and subsequently shut down in 2011. It deemed to fail because too much was pushed through too quickly adopting a top-down approach, with limited engagement with Trusts and clinicians. There are many learnings that can be taken from NPfIT. IT departments need to take a step back and analyse how teams work, engaging the front-line users to ensure technology enhances productivity. This step is much more vital than speed. From this analysis, clear objectives and outcomes can be identified. The ultimate outcome for the NHS is better patient care – this must be at the heart of all considered changes to IT and very much plays into the other goals of building productivity and safety throughout the organisation. These objectives can only be achieved by implementing the right systems and protecting any investment. Ensuring interoperability from the start is crucial to future-proof systems as the NHS adapts and changes over time. Secure, reliable and robust systems will become more essential as the NHS strives to decrease the paper load and focuses to empower staff to complete their roles more efficiently and effectively. IT can have more effective results by considering all influences and users before pushing through a one-size fits all approach. The driving force of digitalisation is the need to deliver better patient care, which can only be achieved with a thought out, user-centered approach that will engage staff and win support. 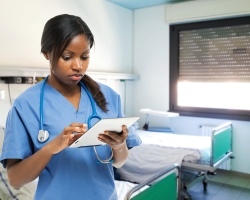 BDS Solutions works with NHS organisations delivering a Connected Community Infrastructure which assists in heading towards a paperless service, improving communication and IT systems. Challenging times, but with the right partner, NHS organisations can take strides towards a modern, digital service. Talk to BDS about digitalising your Trust today. The nature of the National Health Service (NHS), with a multitude of applications and devices and an array of ways in which staff interact with technology, adds significant complication to managing and enhancing the vital systems used by the organisation. However, there is widespread agreement that the NHS must make steps to digitalise and improve technology throughout. The idea of simplifying systems and creating a user-focused approach is an important step. The level of complexity is huge. The NHS in a single Trust commonly manages multiple locations and vast numbers of applications to meet the needs across all departments. Adding to this, developments in devices and applications t is changing working practices and increasing reliance on technology. This development has resulted in more mobile devices requiring different levels of access. To put this in context, the NHS provisional statistics in September 2016 published the current headcount in the service to be nearing 1.18 million people. The vast majority will be IT users…an enormous task. The solution is to focus on providing access to important systems, no matter the device, and streamlining operations. Complexity is reduced by reducing repetition and building system collaboration. Implementing solutions that bring together existing vital systems enables the NHS to have better control, from a clearer understanding of the operational performance of infrastructure, to visibility of data. User service is another key benefit. Creating a user-centered design, does not only enhance efficiency, but also encourages better management of the data and improved access to key systems, reducing the possibility of errors. The systems in place must work for both the organisation, without forgetting the people who will be operating the applications. Optimising systems and reducing complexity across the NHS can be achieved by integration and linking systems and access. This user-focused approach is an important step to ensure more effective staff, working practices and data. 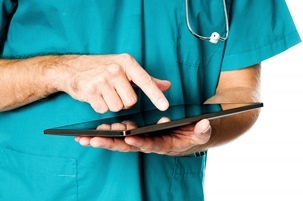 BDS Solutions is a leading IT partner for NHS Trusts and organisations across the UK. BDS Solutions delivers reliable and efficient IT infrastructure that ensures secure access to vital NHS systems across multiple locations and devices for NHS staff. Find out more by speaking with our expert team.